Why Should I Schedule Maintenance for My Heater? With temperatures steadily declining, there’s no denying that the start of fall is just over a week away. Soon enough, temperatures will drop to a point that necessitates the use of your heating system. Hopefully you won’t have any trouble when that time comes. 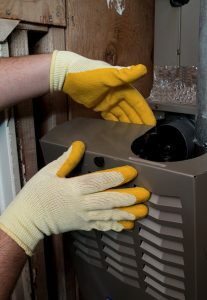 However, the only way to ensure a fully functioning and reliable heating system is by scheduling routine maintenance. Nobody wants a broken down heating system right when they need it the most! Posted in Heater Maintenance | Comments Off on Why Should I Schedule Maintenance for My Heater?